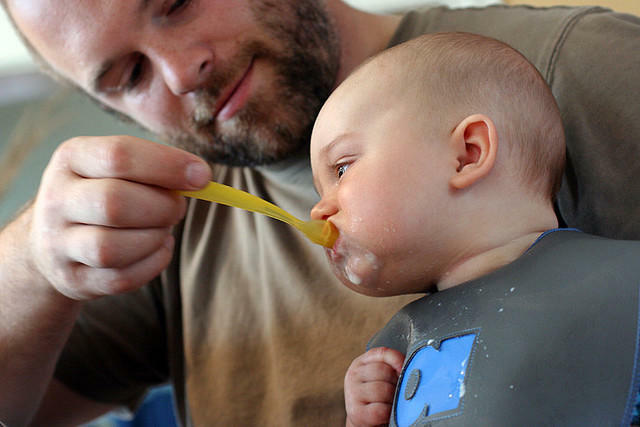 Is This the Year for Paid Leave in New Hampshire? Advocates Hope So. A proposal to establish a paid family and medical leave insurance program had its first hearing Wednesday at the State House. The idea has been in the works for a while, but some advocates think New Hampshire is finally primed for the idea. It’s not an uncommon scenario – someone develops a long term illness that keeps them out of work for a while, or maybe a parent suffering from dementia needs care. Or, as happened to Kerry Norton, a son needs treatment for a substance abuse disorder. 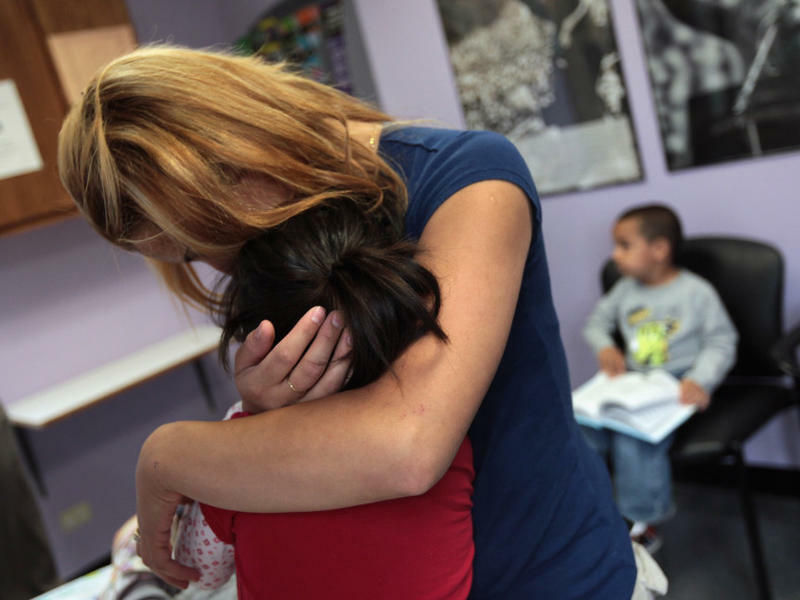 The experience wasn't just emotionally draining -- it put stress on her job stability as well. "I felt like it was in jeopardy all the time," Norton says, "It was a great amount of anxiety." Norton, who recently started a residential treatment program for pregnant women, says that she put nearly 100 hours into seeking treatment for her addict son, and cared for her grandchild once he finally got into rehab. Meanwhile, her job suffered. "And even when I went back," Norton says of returning to work, "there was still a long period for our family that we had to adjust, and it affected my work. It affected my actual job performance." To get through that period, Norton says, that after she used up all of her sick time. After that, she didn’t have any income to support herself or her son’s child, while she wasn't working. But there’s a push in New Hampshire, and states across the nation, to introduce a program that could make scenarios like this a little easier – an optional insurance policy that would provide some income if employees need to take time off to care for themselves, or a family member. Amanda Sears is the director of the Campaign for a Family Friendly Economy, an advocacy group pushing for such a program. "Places that have paid family and medical leave insurance, for instance," says Sears, "have identified that they have much higher rates of retention of staff, because people don’t need to drop out for something like maternity leave." And while legislators have been working on a paid leave bill for over a decade in the New Hampshire State House, it's been stalled over concerns about how much it'll cost and how to make it work. But New Hampshire, Sears says, is lately facing a number of challenges that could be eased by a paid leave program. She’s got her eye on the state’s aging population, and the stressors that the opioid crisis put on both addicts and their family members. "So," Sears says, "having a paid family and medical leave insurance program that folks can take advantage of while they are recovering or while they are helping a family member through recovery is a big part of helping our state overcome its opioid crisis." There is concern among both employers and lawmakers that the cost of this program could make it impractical or unappealing. Sears sees this as a misunderstanding, and a problem of educating business owners about how the bill would actually work. The bill, as drafted, would allow employers to withhold a half-percentage from an employees’ paycheck per week to buy into the insurance – it’s up to the employees whether they want to buy in. Aryn Marsh, who owns a small juice and salad bar in downtown Concord, says that a program like this could help with employee retention. So, that could work for her. As long as there aren't any surprises. "If the bill comes out and it’s something different," Marsh says, "or the cost is way higher than anticipated, small business owners are going to be more reticent to do it, ‘cause it’s just more of a squeeze." But before the bill can prove successful with business owners, it will have to have its mettle tested in the committee process at the State House. Democratic lawmakers are pushing legislation to create a statewide paid family and medical leave program. Today in Manchester, more than a dozen lawmakers attended a conference on the subject. The past week's political firestorm in the presidential race focused on stay-at-home moms, but two-thirds of women with young children now work. Nearly half are their family's primary breadwinner. What some feel is being lost in the political debate are the challenges they face in the workplace. 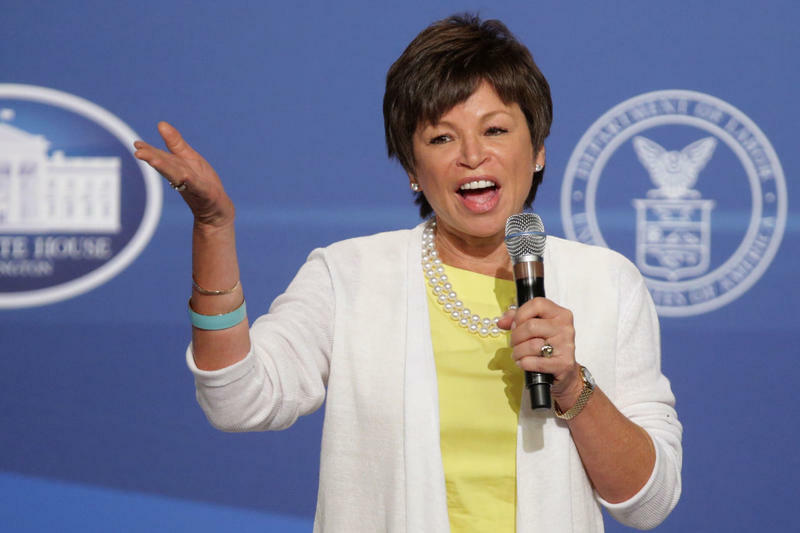 In the latest installment of Here & Now’s View From The Top series, host Jeremy Hobson sits down with White House senior adviser Valerie Jarrett, one of the president’s closest confidants. Jarrett discusses some of the president’s priorities in his final months in the White House, including a push to get more businesses to offer paid sick time and maternity leave for employees. Jarrett hopes the policies offered at the White House will serve as a national example. 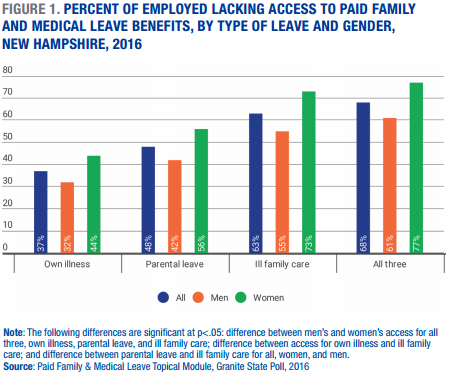 New research says an overwhelming majority of New Hampshire residents support paid family leave and medical leave insurance. The survey found 88 percent of women and 76 percent of men support a law establishing a paid family leave and medical leave insurance program in the state. This program was originally broadcast on 9/16/15.